Atlantic salmon: what is happening to our salmon? The AST is researching the lifeo f the Atlantic salmon in the ocean, coastal zones and rivers. The Atlantic Salmon trust are heading towards their 50th year. Robbie Douglas Miller takes the opportunity to reflect on what is happening to our salmon, and where the future lies in a competitive fishery management world. Atlantic salmon is not only a valuable international resource, it has been at the heart of national cultures of countries in the North Atlantic region for at least 20,000 years. As has catching this most challenging, and often elusive creature. Use the classic salmon fly, after reading about a good number of the best vintage fly tying books. Or watch our video on how to catch a salmon for the best top tips. In 1967, concerns over the unsustainable exploitation of salmon combined with the devastating impact of UDN disease led to the formation of the Atlantic Salmon Trust (AST). As the Trust heads towards its 50th year, it is a perfect time to reflect on where the future lies in a competitive fishery management world. Jon Carr of the ASF inserting an acoustic tag into a Canadian kelt. Perhaps surprisingly, there is no other organisation that purely and unequivocally represents salmon and sea-trout. AST’s vision is for the fish to return and breed from their rivers of origin in sufficient quantity to ensure that stocks are held at sustainable levels. It has spent 49 years initiating research and management solutions to this effect and whilst cognisant of other interests it represents only one: salmon and sea-trout. This gives the AST a clear perspective when it comes to deciding who or what comes first when prioritising activities and spending precious resources. The world in which we now operate is a far cry from that which existed in 1967. With 41 District Fishery Boards and 26 River Trusts in Scotland, 55 River Trusts in England, Wales and Northern Ireland, The Angling Trust, Salmon & Trout Conservation UK, North Atlantic Salmon Conservation Organization (NASCO) and many more focusing on either a broader remit or working in local catchments, understanding what is in the salmon’s best interests is not as simple as you might imagine. There have recently been some major changes to the AST structure. By far the most significant Board appointment is our new CEO, Sarah Bayley Slater. Well known in the fisheries world, she brings a proven track record of project management, fund-raising skills and a focus on delivering results. To help with the “blue sky” thinking and strategic direction, eight new trustees and two new vice presidents have joined the AST Board to bring a fresh and clear perspective. Our three-pillars strategy represents the three principal habitats used by wild salmon and sea-trout – the ocean; the coastal zone; and the freshwater environment – and reflects the AST’s focus on the whole lives of the fish. The Board has set about identifying what we can achieve to understand better the causes of salmon mortality. Asking the question, “What is happening to our salmon?” in conjunction with looking at the three pillars, two main themes have emerged. Smolt for release into the North Tyne. The first, is: “Do our smolts die in large quantities in the coastal zone and, if so, why?” To get a clear understanding of this our team has been looking at how acoustic telemetry (tagging smolts and then monitoring their progress in stages towards the open ocean) might help on a large scale. We spoke to Jon Carr of the Atlantic Salmon Federation (ASF) in America, who has been using acoustic telemetry (AT) for more than 10 years to understand mortality impacts on rivers. Subsequently, we invited him over earlier this year to attend an AT conference that we organised jointly with the River Dee Trust. In addition to imparting advice and experience, the overwhelming message was that there is no central co-ordination of this valuable work. Currently there are more than eight AT projects running across the UK independently, thereby missing an opportunity to share information, knowledge, equipment and cost. Without impacting on local projects, AST is looking to position itself as the central co-ordinator of the UK-wide AT effort, maximising the scope of the individual projects and collecting and imparting information on a national scale. If financially possible, we would like to help build up a network of coastal arrays around the UK that would read AT tags used by all rivers systems, thereby reducing the costs and encouraging more groups to participate. This would help to build up a clear picture of the extent to which our smolts survive the first part of their sea journey; in essence, to develop an inshore tracking network for salmon and sea-trout in the UK. It will then be possible to identify more clearly the causes of mortality in each section – lower river, estuaries and near shore – and look for local or national solutions. This project will tie in with a broader, ocean-wide AT work stream, the SALSEA-Track initiative, currently being initiated by NASCO. The second theme that has emerged during our research is the need to understand pelagic by-catch and look for ways to mitigate it. There is concern about the level of accidental killing of salmon by pelagic vessels at sea. Research has shown that salmon are caught as a by-catch while the SALSEA programme showed that feeding salmon are frequently found adjacent to shoals of other pelagic marine species and may well be impacted by major fisheries on these stocks. The extent of such catches is not known but it is certain that accidental by-catch does happen at certain times and in certain places. At present, there is a major issue regarding the poor survival of salmon at sea, with as few as 5% of smolts returning as grilse to our shores. The loss of 95% of our smolts at sea is unprecedented. Perhaps the most practical action we can take to protect migrating post-smolts and young adult salmon is to quantify and manage the level of by-catch from the large pelagic fisheries in the open sea. Pelagic fisheries are operated by fleets from the EU, Norway, Russia, Iceland and the Faroe Islands. They account for the harvest of millions of tonnes of fish a year. 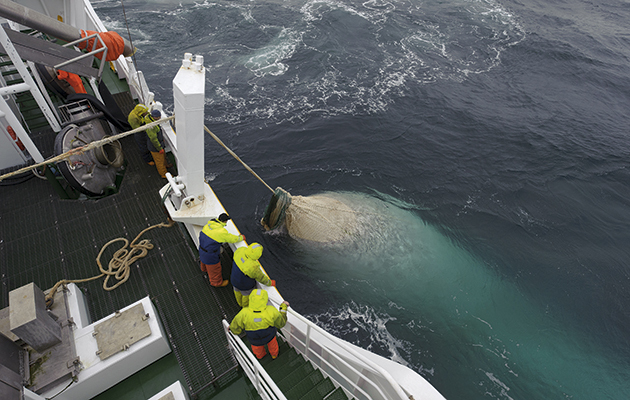 The fisheries use a range of gear, including surface trawls, pair trawls and gigantic purse seines. The quantities of fish taken in each sweep of these gargantuan nets are massive. Locating individual post-smolts, between 12cm and 20cm long, often squashed and descaled, amongst these vast quantities of fish is virtually impossible. Recognising that manual surveys of catches on deck would be expensive and time consuming, AST and our colleagues at University College Dublin piloted the development of a novel technique to assess the presence of salmon DNA onboard ships – environmental or eDNA. The method involves the analysis of fish slime from the nets or onboard water samples for portions of salmon DNA shed from the fish through scale loss or slime/bodily fluids. 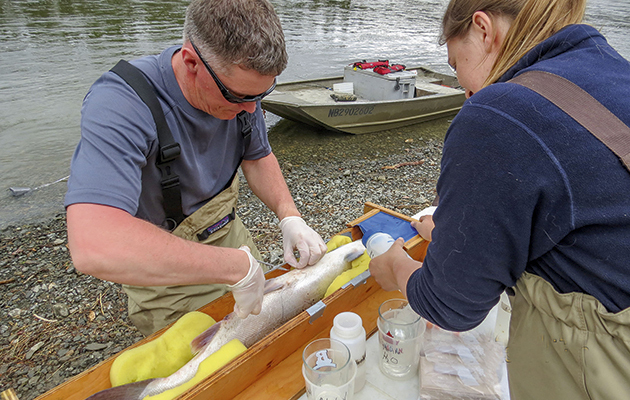 The DNA collected may also provide valuable information on the origins of the salmon sampled, which will greatly add to our knowledge of salmon migration and distribution patterns in the ocean. Trawlers nets can be checked for salmon DNA. 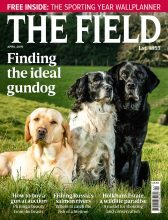 AST is confident that the development of eDNA-based forensic techniques offers a real possibility of practical, large-scale and cost-effective monitoring of pelagic by-catch. The priority is to deploy the eDNA technique to establish the presence of salmon. The proven presence of salmon will enable assessments of abundance to be carried out manually on individual vessels and greatly reduce the logistics involved in sub-sampling the fleet. Over the past six months, scientists at University College Dublin have been engaged in the first phase of the programme: development and testing of an Atlantic salmon specific eDNA probe. There is no doubt that the pelagic fleets will continue to seek new grounds or that the efficiency of fishing vessels will increase. As this happens, further efforts will be required to quantify the extent of by-catch of salmon in these fisheries and to introduce mitigation measures, such as altering the equipment used or restricting access to smolt-migration routes at certain times. Understanding and seeking to manage the by-catch issue is one of the few practical steps we can take to tackle marine mortality of salmon. Given the reducing percentage of our smolts that survive the period of time that they are not in our rivers systems, these projects look to be the most valuable use of our time and resources. If we can help answer the “marine mortality” question and look at ways to improve the pitiful 5% return rate of our smolts, then we will be doing our bit to fill in the gaps and fulfil our brief as the charity that looks after salmon. During 2016, the AST team will be initiating these two work streams. The AST is not a membership organisation, relying on charitable and private donations. This new work is going to be expensive and time consuming. If you are interested in doing something for the future of this wonderful fish, you can support the work of the AST by becoming a friend or making a donation at www.atlanticsalmontrust.org. Alternatively, if your business owns, buys or sells fishing, makes rods, flies or sells fishing equipment, we would welcome you as a corporate friend while your customers would welcome your contribution to the bigger picture. Robbie Douglas Miller is the chairman of the AST. Tony Andrews, executive director of the Atlantic Salmon Trust, fears that if we continue on our current course the species may be doomed. He outlines a programme to save the Atlantic salmon. The salmon carved in a Dordogne cave and the Glamis Stone testify to its spiritual importance. In Canada and Finnmark First Nation people still regard the salmon as sacred. The late poet laureate, Ted Hughes, celebrated the Atlantic salmon’s life cycle in elemental terms in his poem Salmon Eggs. The life cycle of the salmon gives it the status of a “barometer” species, providing detailed information about our environment. Few other fish species are protected by an international treaty organisation. The governments of the Atlantic salmon countries are signatories of NASCO (North Atlantic Salmon Conservation Organisation), of which the International Atlantic Salmon Research Board is a part. NASCO’s existence is a measure of how important the conservation of the wild Atlantic salmon is to the signatory governments. It also has 34 NGO members and access to the best fishery scientists. Despite this, the wild Atlantic salmon’s future is uncertain. The species is in danger of extinction, perhaps not imminently or everywhere but at least in its southern range. Among the many possible causes for the Atlantic salmon’s decline the most threatening is climate change. The most obvious effect of which is ocean warming. Salmon are cold-water fish. Higher temperatures impact on their marine and freshwater habitats and reduce the abundance of their prey species. The key question is whether human intervention can mitigate the effects of climate change on salmon stocks at sea. Concern regarding the decline of stocks of wild Atlantic salmon by more than 60% in 40 years prompted NASCO to launch the Salmon at Sea (SALSEA) project in 2008. The project’s goal, as explained by NASCO’s Dr Malcolm Windsor, is, “to increase understanding of how salmon use the ocean, where they go, how they utilise currents and the ocean’s food resources and what factors influence their migration and distribution at sea”. Since then, scientists from the North Atlantic salmon countries have made unprecedented efforts to ascertain “where, when and how are such high numbers of salmon dying at sea”. The Salmon at Sea (SALSEA) project was launched in 2008. Farther north, other European rivers are starting to record the effects of climate change. In some Pennine and Scottish river catchments, planting programmes have been implemented to protect juvenile salmon from high water temperatures caused by direct sunlight on shallow upland streams. Studies of effects of drought conditions on salmon waiting in estuaries indicate that up to 50% may die from a range of causes, including high temperatures, predation, coastal netting, salmon farming, pollution and disruption to migrations caused by renewable energy projects. The problems caused by high summer temperatures are also affecting North American rivers such as the Mirimichi and the rivers of Maine, Quebec and Nova Scotia. Severe storms that affect the top layers of the pelagic zone of the ocean’s water column can change surface currents and throw migrations of post-smolt salmon off course. The Atlantic salmon is an endangered species in the United States. Canadian rivers flowing into the Bay of Fundy historically had annual runs of more than 40,000 salmon, they now have fewer than 200. Portuguese rivers have lost nearly all their salmon, the rivers of Galicia and Asturias are on the edge, as are the rivers of southern France, despite heroic efforts by fishery managers. For example, soon the Allier, a tributary of the Loire, may be unable to sustain salmon; outgoing smolts and incoming adults have to negotiate more than 800 kilometres of the river’s main stem and for most of the year it is too hot for them to survive. As Dr Patrick Martin, the Loire’s head conservationist, commented recently, “The Loire salmon’s migration window is closing.” With that closure the opportunity for the fish to migrate is lost. Oceanic and terrestrial warming is squeezing the salmon’s habitat at all stages of its life cycle in rivers and at sea. With a global ratio of one wild Atlantic salmon to 200 farmed fish in open net cages “sharing” the same coastal waters, an uncompromising precautionary approach should apply in licensing such facilities. Parasites, genetic ingression, pollution and disease from salmon farms may affect wild salmon much farther away than the locality of the salmon farm. This kills Atlantic salmon from unknown rivers of origin and continues despite international pressure to end it. In 2013, for example, one Scottish coastal net fishery killed 7,159 salmon and grilse, while the total number of salmon killed by nets in England and Wales was 24% above the average of the previous five years. Atlantic salmon swim with other pelagic fish, including mackerel and herring. Some salmon are being accidentally caught up in the nets of commercial trawlers. We need to know the extent of that “by-catch”, as well as where and when it takes place. This must be assessed, particularly in relation to ocean warming, bearing in mind the question, “Is extinction of the species inevitable?” If the answer is yes, what is the timescale? What, if anything, can be done to delay that inevitability? If the answer is no, can we find ways to give the wild salmon time and space for its natural resilience to kick in? There is evidence that salmon have survived massive geophysical and climatic changes, including at least two ice ages. What can be learnt from the historical and current life strategies of the species? Can we find ways of integrating our restoration efforts with that innate resilience? Most conservation efforts concentrate on rivers. Salmon have been categorised as freshwater fish with a marine migratory phase. As a result, most resources are spent on restoring riparian habitats and studying the freshwater phase of the species’ life cycle. More needs to be known about its life at sea. Already, in Canada, Ireland, Norway and Scotland, new tracking technologies are deployed to determine where it goes and where obstacles to migration exist. If the Atlantic salmon smolt heads to the water off West Greenland to feed what are their chances of survival and return? Continuing to improve freshwater productivity through river catchment, ecosystem-based assessment, monitoring and actions. Using a precautionary approach to demand proof that new engineering projects along the coasts and in the ocean do not harm the en-vironment. Issues such as by-catch, renewable energy, poaching, salmon farming, coastal and drift netting and pollution are a starting point. Mapping migration routes and attributing populations to regions and even individual rivers should enable scientists to predict future abundance or otherwise. Appropriate management action can then be taken in real time, as already happens to some extent in Ireland, Canada and Norway. The “big picture” strategy requires a new international effort and level of cooperation. Large amounts of private sector money from the salmon countries of the North Atlantic region will be needed to pay for research and monitoring at sea. The process of mapping out safe migration “corridors” and, through NASCO, negotiating international agreements to protect salmon at sea, must follow. DO RECENT CATCHES TELL THE WHOLE STORY? Fishing for Atlantic salmon. Will this scene become extinct? Rod catches are down. Rod catches in many fisheries of the North Atlantic countries have been among the lowest ever recorded. In some rivers in North America, Iceland, Norway, Ireland and the UK, rod catches in 2014 were lower than the five-year average. The main exception was Russia’s Kola Peninsula, especially Barents Sea rivers, where both the numbers and quality of salmon are holding up well. But, do rod catches provide reliable data for stock assessment? The situation is more complex than might at first appear. For example, in 2014 spring salmon, returning to some Scottish and Irish rivers after two or more years feeding at sea, were caught in reasonable numbers and were in excellent condition. Ireland’s River Slaney, for example, had its best spring returns for 30 years, with most fish in prime condition and weighing 12lb to 15lb. A similar spring season was enjoyed by rods on some Scottish east coast rivers. Nearly all these fish were caught and released, while coastal netting was delayed until April. Later in 2014 low-water and high-temperature conditions in many North Atlantic rivers did not favour high rod catches. Grilse returns in European salmon countries were, at best, variable, in some cases virtually non-existent. There is also evidence that extreme flooding in the wake of Hurricane Bertha reduced juvenile density considerably in some Scottish upper catchment tributaries. Some freshwater fishery managers are saying that little can be done to improve the situation at sea, so efforts should be stepped up to improve freshwater productivity. However, while that view is understandable, it does not address the fact that more than 90% of wild Atlantic salmon are dying at sea, whereas only 40 years ago the figure was more like 65%. 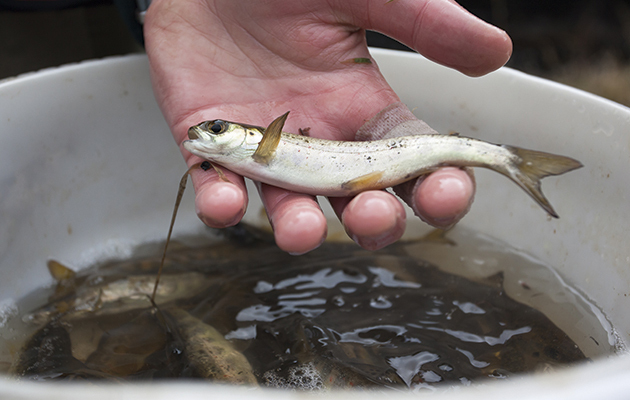 If the number of smolts that survive to become adults could be increased by only 2% or 3%, there would be significant difference to the quantity of adult fish in our rivers. Three projects to bring back more salmon to our rivers are listed below. Funds are urgently needed to implement them. We cannot predict the increase of returning salmon but we can state that these projects are a practical starting point, with more projects to follow as knowledge of migrations improves. This innovative eDNA pilot project addresses the issue of accidental by-catch by pelagic trawlers. By employing forensic methods routinely used at scenes of crime it can determine whether salmon DNA is present in body fluids on the decks or nets of the giant pelagic trawlers. Our concern is the likelihood that post- smolt migrations, relatively densely packed within coastal currents, may be inadvertently caught up in huge purse-seine nets. It is conceivable that the entire migration of a small river could be wiped out by pelagic trawlers. Establishing protected migration corridors for salmon between their native river estuaries and their feeding grounds requires a co-ordinated international effort. In the longer term this approach may prove to be the most effective way to bring more salmon back to their native rivers.  As food, driver of rural tourism, angler’s quarry or cultural icon, the existence and value of the wild Atlantic salmon has never been fully appreciated. To allow its demise would be a human catastrophe. Continuing as we are is not an option.